Whether you are a brand new curler or an experienced curler who has just moved to Nanaimo you are in for lots of fun and are about to meet some of the greatest people in Nanaimo. The club has programs and leagues suitable for experienced curler and rookie alike.The club runs Learn to Curl Clinics in the afternoon and evenings. If you can't make the Clinics they offer free lessons each Wednesday night during the season and private lesssons for a small fee. Please call the Club to register for the Clinics at 250-753-3474, the club is located at 106 Wall Street across from the Bowen Park Volleyball courts. 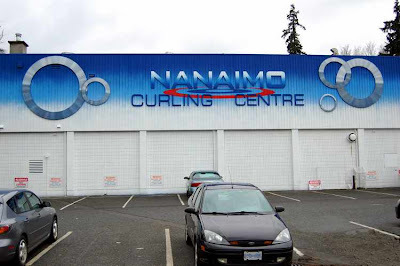 You can visit the Curling Club website by clicking here.